Note 1: This is not a 100% factory original replacement part and as such cannot be shipped to California. Note 2: NOT for use with dual alternators. 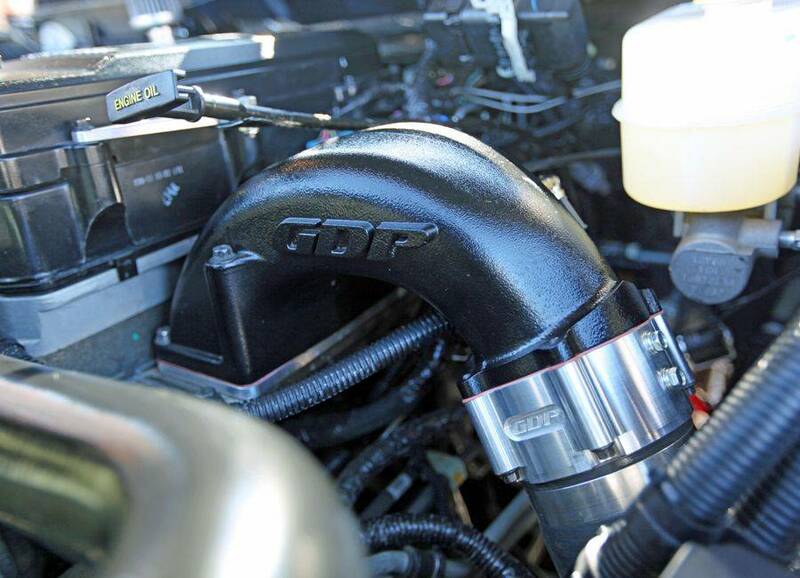 Looking for massive airflow increases for your high performance 6.7L Cummins? Need the ability to keep a grid heater in the system? Now you can! With the introduction of the new 2010+ 4th Gen body design space under the hood is at a premium. This has not allowed 4th Gen Dodge owners to utilize our Arctic Heat remote grid heater system. With the introduction of the Mega-Flo S-2 flanged intake manifold you can now have a high flow manifold and grid heater all in one package. 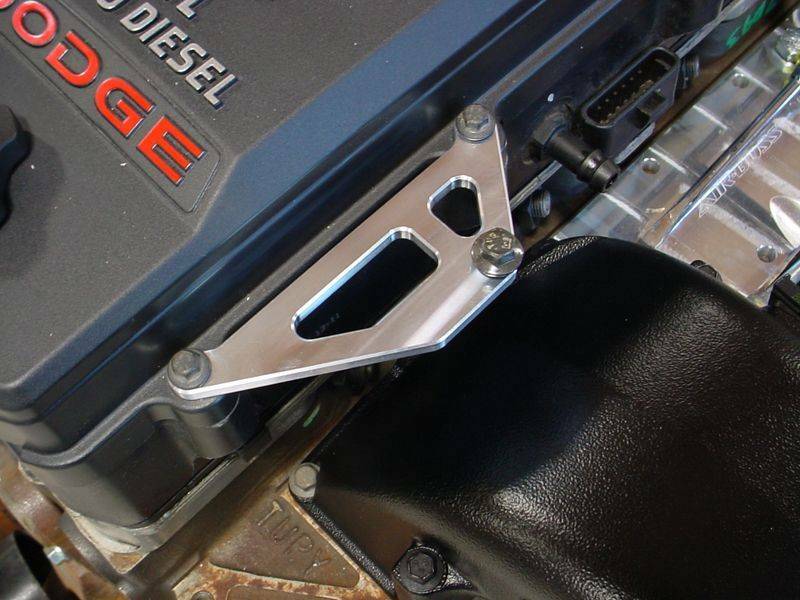 The flanged design of the S-2 manifold allows installation of the GDP Mega-Flo Throttle Valve Grid Heater, GDP Throttle Valve Delete, or any other accessory that uses a stock style throttle valve bolt pattern. When combined with our Air-Boss Grid Delete you have the ultimate high flow air package for the 6.7L Cummins. 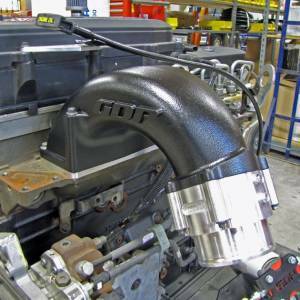 The Mega-Flo 6.7L intake manifold is a precision, permanent mold, aluminum casting. Casting via permanent mold and heat treating gives the Mega-Flo S-2 superior material density for final machining. 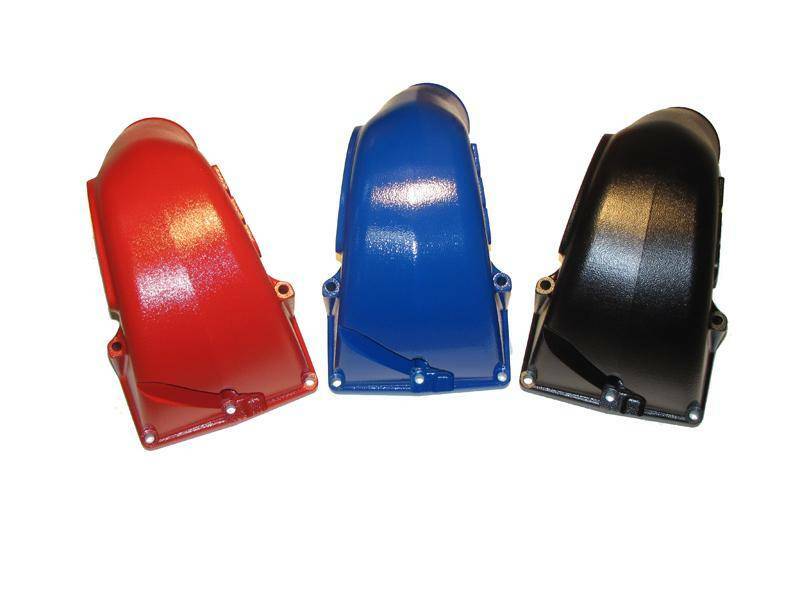 The permanent mold process offers a precision part with a great finish for colored powdercoat. To maximize internal flow area, the #1 injector line relief is cast in as a solid boss. This allows us to finish machine the relief slot for tight tolerance and low interior protrusion. During final machining, all interior bosses are reduced to the absolute minimum needed for injector line clearance. From a design standpoint the Mega-Flo S-2 intake manifold is a perfect blend of fit, form and function. Two things are at play with our intake systems, pressure and velocity. The flaring design of the Mega-Flo S-2 causes an increase in cross sectional area as the incoming air charge approaches the plenum area. The increased area slows the air velocity and increases the pressure. This is important because low velocity air has less drag as it encounters obstructions like the sharp turn into the plenum area. For example, the same thing happens at the entrance to the intercooler. 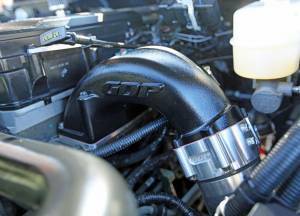 The small pipe expands to the huge volume of the intercooler. This accomplishes two things. First it slows the air down so that all of the tiny intercooler passages don't cause unnecessary drag. Second it increases the pressure of the air so it can transfer heat more efficiently. For maximum airflow you need to look at the system as a whole. For accessories such as boost gauges, water/meth or nitrous the Mega-Flo S-2 is ready. On the back we have added five 1/8" NPT ports which will cover all of your additions with room to grow down the road. 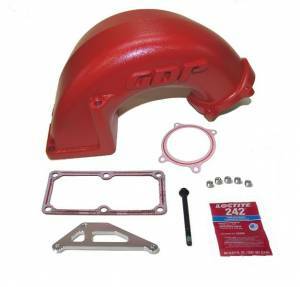 All Mega-Flo S-2 6.7L intake manifolds include mounting bolts, gaskets, plugs, and full color instruction manual. purchased with throttle body grid heater and air boss67 plenum. I think I can feel my truck breath in a deep breath of relief- like getting a new set of lungs for my work horse! Love it. Looks great too. I purchased and installed the Mega Flo S-2 on my 08 Dodge and coupled with the Grid Heater relocate and the Plenum I am thoroughly impressed. The installation was straight forward with all of the pieces fitting together exactly as they are supposed to. I cannot believe the throttle response the truck now has. I would highly recommend the entire setup. The turbo spools quicker which makes the truck feel quicker. I use my truck to tow my 13,000 pound toy hauler and these pieces have brought my EGTs down about 75-100 degrees. Thanks Richard for your excellent customer products and service. You sir are second to none in my book!!! Still new so didn't had a chance to see better fuel mileage yet but I have a lead foot.. I think this is the only way to go if you want to keep a grid heater. I bought this with the Throttle Valve Grid Heater and absolutely love it. It is a tight fit and the one CCV breather line is wedged on crooked but so far it has stayed on. I'm happy & the truck is happy. Great product! I had this installed along with the heater grid, air boss intake plenum, EGR cooler delete and boost tube. What an improvement. Increased throttle response, better idle and got increased MPG's!! Got this along with the grid heater, amazing stuff. Don't second guess this product and it quality. Amazing hands down, best intake! Installed this with a few other GDP goodies. What a difference. Increased airflow over stock. Great product from GDP, as always.